Prima Locksmith Woodland is the city’s 24 hour emergency lock-and-key and security company of sterling reputation and utter professionalism. We are able to arrive at the scene of your lock-and-key emergency, 24 hours a day, 7 days a week and 365 days a year in a flash. To call the team of fully trained, licensed, bonded and insured security technicians we work with mere locksmiths is to do the full gamut of their capabilities a grave disservice. This team is able to undertake large scale security camera system maintenance with the same ease and professionalism as ignition key replacement, open truck techniques, lockout solutions and the installation of high security lock systems. 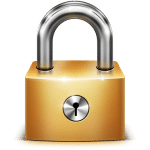 They have a number of “trade secret” lockout solutions that they can match almost any “lockout” scenario, getting you back on the right side of that lock in a matter of moments. They use only the most modern and precise equipment available, to ensure that you are receiving a finished product and service of the highest order available. We believe when you do a job, you’d better do it properly – it’s a motto we take very seriously, as evidenced by the high quality we endeavor to impart in each and every service we provide. For the best locksmiths in Woodland and for an immediate call-out, call us now! A team of licensed locksmiths are ready and on-standby to assist with your need for new ignition keys, house keys, office security upgrade, or lockout solutions. If you still require further information, call Prima Locksmith Woodland (916) 419-3260 to learn how we can help you best, or for an instant free quotation!